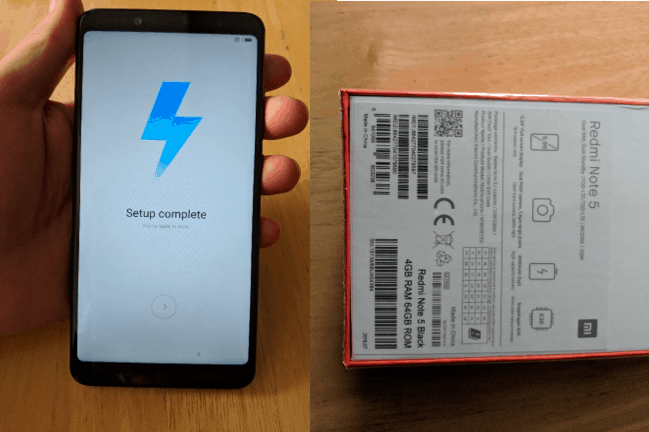 Earlier today, I unboxed the new Xiaomi Redmi Note 5 presented to me by GearBest. The Redmi Note5 is a progressive update of its predecessor, the Redmi Note 4 which made sales of 9 million units in India last year (2017). The new handset blends high performance and quality while giving great value for money. It comes with great specs and features including a high-end dual camera AI system, premium looks, and substantial performance. Xiaomi is an original smartphone manufacturer that has been rising in the market despite its limited presence beyond Asia. The company is now ranked as the 5th largest smartphone manufacturer and seller and is now the dominating smartphone vendor in India, it is also becoming popular in Europe. 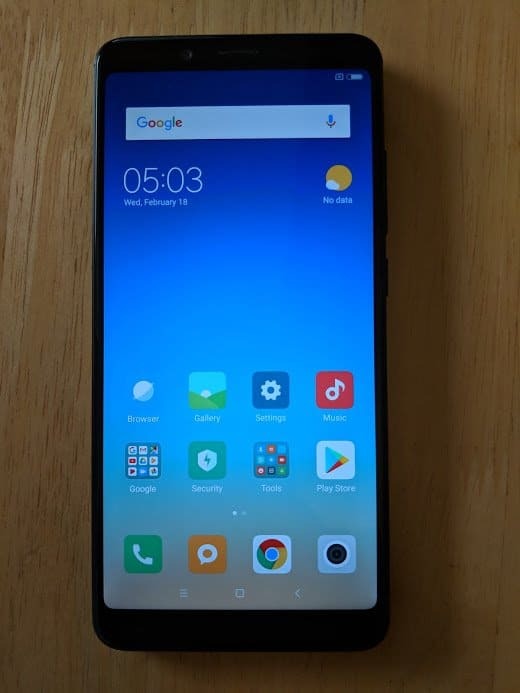 As you can see, due to its generous screen dimensions and features similar to a Tablet, in this Xiaomi Redmi Note 5 AI Review we come easily to the idea that is not a simple Smartphone; in fact is a Phablet, similar to others like Samsung Galaxy Note II or iPhone 8 Plus, but at an affordable price which makes its acquiring a great deal. The handset comes packed in a well-crafted rectangular orange box. 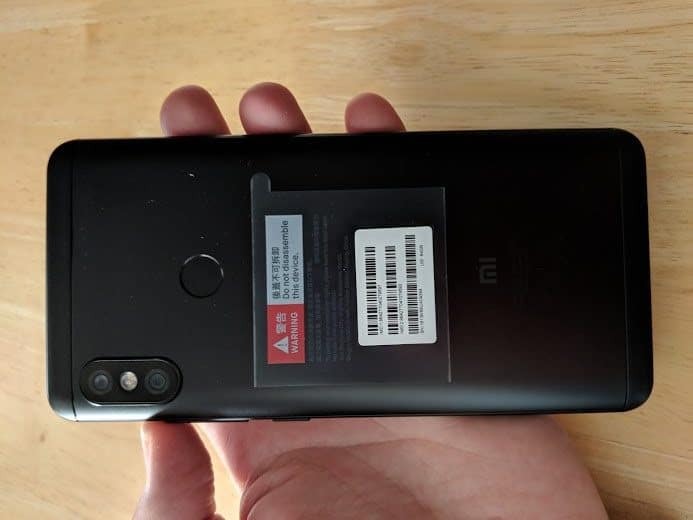 The front side of the package has the name of the smartphone engraved on it, while the device’s main features are listed at the backside. Although it missed a plastic tray (maybe due to environmental concerns) or any other fancy builds, the box still remains hardy enough to withstand physical damages. 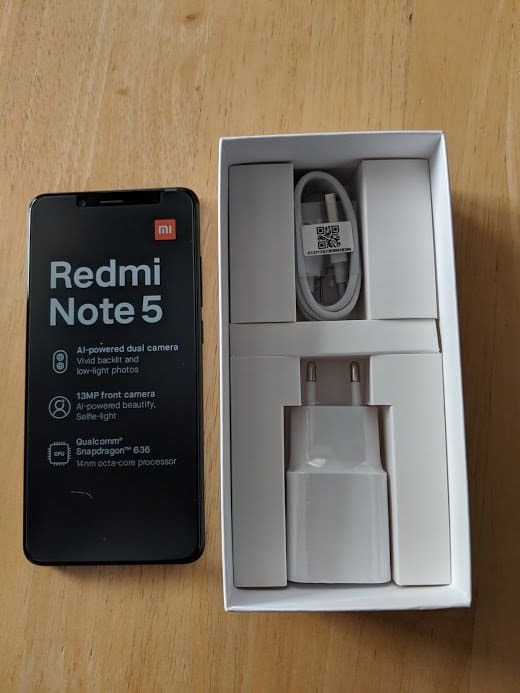 Once you unpack, you will find the Redmi Note 5 tucked in neatly alongside the smartphone’s necessary accessories including the charger, a sim-pin, a micro-USB cable, as well as a TPU case. You will also find a printed manual-guide of the handset in the box. The new Redmi Note 5 has a premium look and offers an exciting aspect ratio of 18:9 as well as small-sized bezels. With Its Full HD+ LCD IPS capacitive display, I didn’t face any issue with the brightness during my outdoors tours. 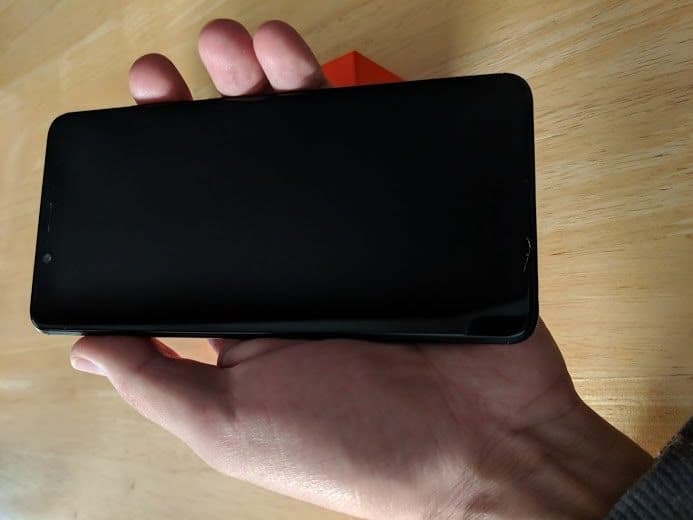 Surprisingly, the handset has a protective case that is only common with the high-end smartphones. But if you’re found of dropping your phone or need some extra protection, you can go for these leather cases and a stronger screen protector. The smartphone’s new software skin, MIUI 9 showed excellent performance and application startup periods. In addition, the Redmi Note 5 hardware gives you a smooth software experience with no operational glitches. The new Redmi Note 5 sports an Aluminum casing with plastic ends which improves its reception quality. I also noticed dual antenna lines which separate the aluminum casing from the plastic edges. 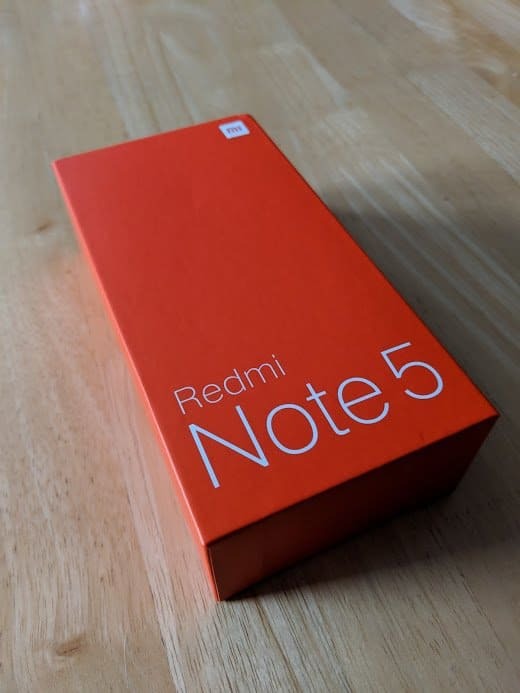 Although the Redmi Note 5 is an upgraded version of the Redmi Note 4, the resemblance in their designs is almost unnoticeable. The device is somehow heavy, and this is because of its massive battery capacity. It measures 158.6 X 75.4 X 8.1mm in dimension, giving it the slim, wow factor. On its rear, there is a bulging AI dual camera system, coupled with an LED flash placed in between the cameras. Directly placed below the camera system, horizontaly centered, is the fingerprint sensor. 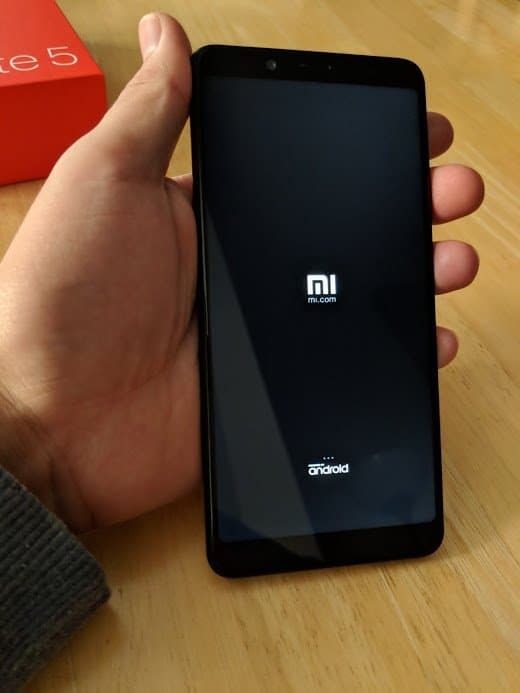 The Xiaomi’s ‘Mi’ logo sits at the far bottom in a centered position. At the bottom side of the device, there a Micro USB 2.0 port, loudspeakers planted on one side and the audio port on the other side. On the right side, the handset features volume keys together with a power button. To the left, lies a SIM tray which houses a hybrid card slot, allowing you to choose between a microSD and a second SIM. Finally, on the top side, the devices houses an IR Blaster. Unlike its predecessor, the Redmi Note 5 has a 77.4% screen-to-body ratio – much lesser bezel with a widescreen. It also boasts a 1080 X 2160 pixels in resolution in the 5.99-inch display screen. Its less-bezel display allows more experience when viewing images and videos. The screen displays high contrast details of a 1431:1 ratio with a 555 nit’s maximum brightness. However, to experience the same quality of details on the screen while out in the Sun, you will need to increase the phone brightness. The 5.99-inch display screen is gilded with a Corning Gorilla glass type 3 which is scratch resistant while offering fluid scrolling when operating the handset. This makes the screen on the Redmi Note 5 astounding for a smartphone going at its current price, offering detailed, clear and sharp visuals. The Redmi Note 5 runs on a Qualcomm Snapdragon 636 with 14nm processor technology. The Octa-core processor has a clocking speed of 1.8GHz, and this provides fast performance. Coupling this with the 4GB of RAM, the handset is a beast on its own since its capable of handling simultaneous operations without issues. Redmi Note 5 uses the Adreno 509 graphics processor which makes it possible to play heavy games without experiencing glitches. Its Full HD+ feature allows you to watch high-quality videos seamlessly. Despite having a 64GB storage, there’s the option to expand your storage capacity to 128GB via a microSD. You can slot in the microSD on the hybrid SIM tray located on the left side of the handset. Like I anticipated, the new Redmi Note 5 runs on Android 8.1.0 Oreo operating system, with a new MIUI 9 custom skin. The new upgraded skin offers a user interface that is undisputedly the best compared to other Android smartphones. With numerous customization made on the unique user interface, the experience is breathtaking. The availability of advanced system tools together with several dual apps and spaces, you have the capability of running two simultaneous apps with separate accounts. For instance, you can have two WhatsApp apps running different accounts on the same device without compromising performance. The Redmi Note 5 has an AI dual camera system which takes some great pictures. Moreover, its AI assistant works best to improve the overall picture aspects. Portrait pictures are the best; the second camera provides depth. 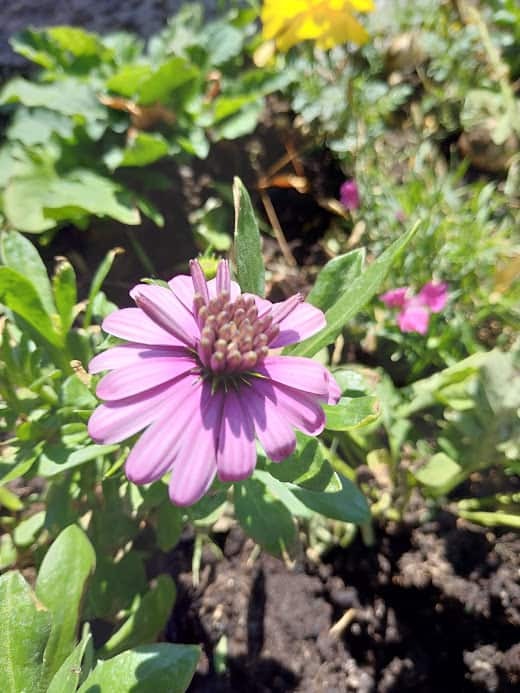 I also took some photos in good lighting conditions, and the results were amazing, considering this is a midrange handset. The images were taken to preserve their fine details and the focus is perfect, making its 16M color screen feature look lifelike. Furthermore, its HDR algorithm works perfectly well. Here are some camera specs; the 12MP and 5MP dual AI camera on the rear has a brighter f/1.9 aperture with a 1.4µm pixel size and f/2.0 aperture with a 1.25µm pixel size respectively. The dual camera system features a single tone flash, PDAF, enhanced low-light photography and HDR adjustments. 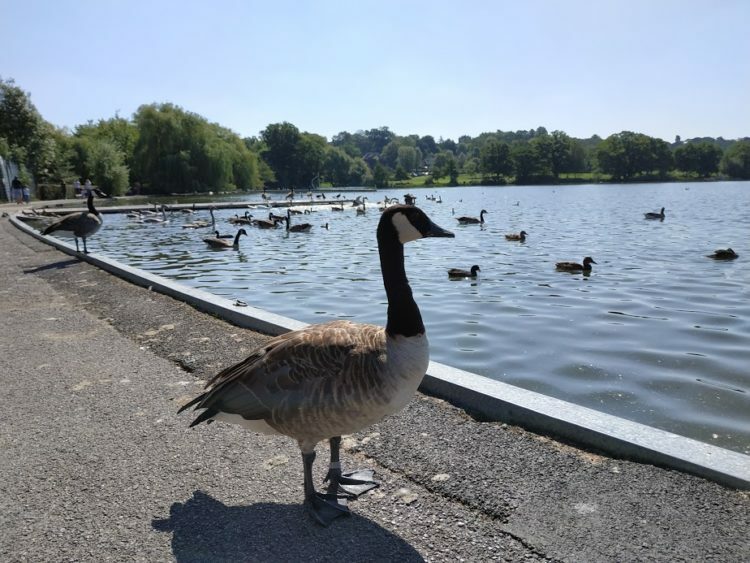 The camera features various photo shooting modes including Panorama, Timer, Straighten, Beautify, Manual, Tilt Shift, Audio, as well as Night mode. The13MP selfie camera has been upgraded too. The video quality of the device was satisfying as well, and it surprisingly surpassed my expectations. The new Redmi Note 5 supports 4K video resolution on third-party apps like Open Camera. The smartphone has a non-removable 4000mAh Li-Po battery which allows the phone to last for up to a day and a half with regular use. The phone has a quick charging feature that fully utilizes the Qualcomm chipset technology feature. The new Redmi Note 5 is one of the best smartphones you can get under £200. 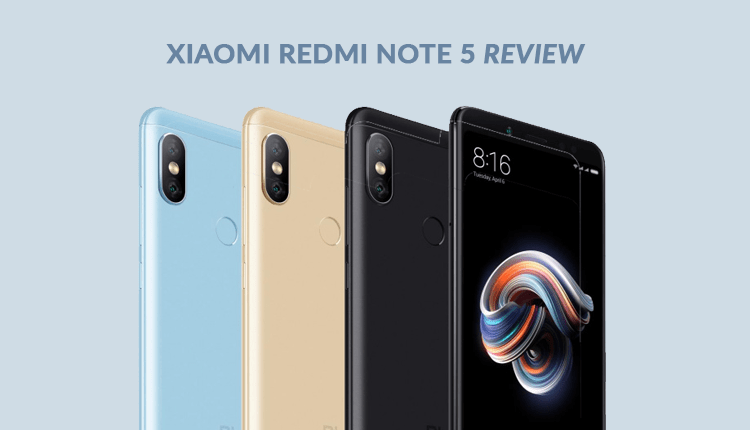 Drawing from the facts about the Redmi Note 5 above, it is clear that the Redmi Note 5 is not an ordinary budget phone. Given its great value for money, we recommend you get yourself this handset. Although it took six working days to get my hands on the handset, it was worth the wait. The handset is already trending on all major stores due to its features, and it doesn’t break the bank. Also you can take a look at other smartphones here. And that’s it for this Xiaomi Redmi Note 5 AI Review. So, go ahead with no fears! 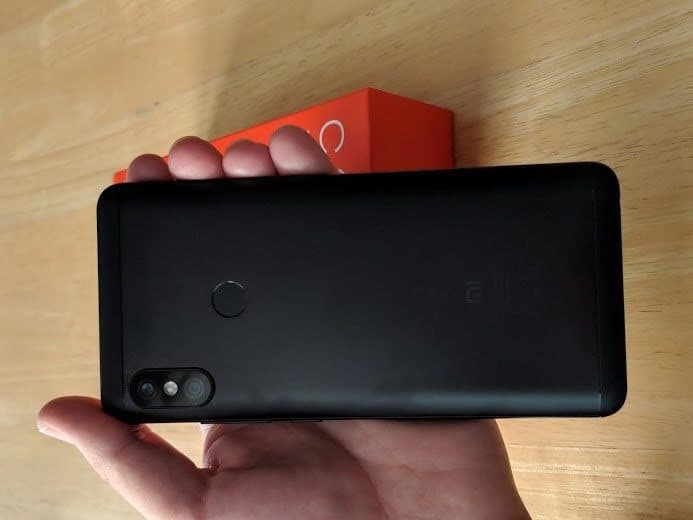 Going for less than $200, the Redmi Note 5 AI smartphone exceeds the label "midrange smartphone". Although it has some few drawbacks, you won't regret getting it. Its massive battery, dual camera AI system, a powerful processor and a good display makes it a better choice. Hiya, I’m really glad I’ve found this information. Nowadays bloggers publish just about gossip and internet stuff and this is actually irritating. A good website with exciting content, this is what I need. Thank you for making this web site, and I’ll be visiting again. Do you do newsletters by email?